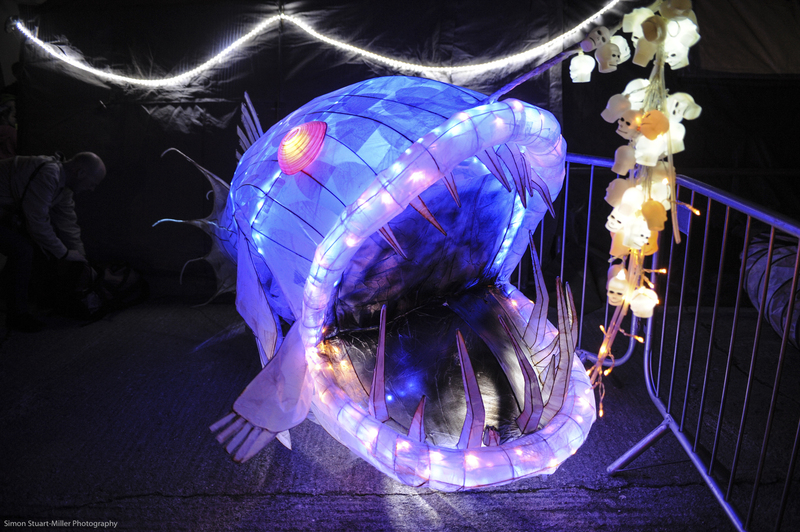 The BikeLights team are delighted to announce that our magical and much-loved illuminated bicycle-based parade will take place this year at 6.45pm on Saturday 26th of January on the streets of Wadebridge. Now in our fifth year, this hugely successful community spectacle is expected to be bigger and better than ever – with 700 plus bikes and a host of newly commissioned artists bikes on the theme of Flying Circus – featuring elephants, flying trapeze, fire sculptures and magnificent illuminated creations of all shapes and sizes. Bring your bike down to a making working workshop – materials provided free but donations gratefully accepted- we will have lights and batteries available to buy as well and there will be lots of people on hand to assist you whatever your vision. Workshops are in the yard behind Pop Gallery from 11 – 5 on the 13th. This is the most enormous fun, not only do you get to create brilliant illuminated bikes but you also get to go on an unforgettable bike ride in the dark with your family surrounded by the most enchanting glittering lights, laughter and it will be the most memorable night of your autumn.